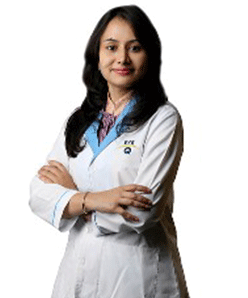 Dr. Hetal Ronak Vyas is an eye care specialist. She successfully completed her MBBS in the year 2001 from Government Medical College, Surat. After MBBS, she pursued MS from the same college and received the degree in the year 2006. Dr. Hetal is one of the best in the field of ophthalmology and her advice has been beneficial to a large number of patients. She provides consultation for various eye diseases of different grades such as age-related macular degeneration (AMD), bleeding under conjunctiva-subconjunctival haemorrhage, eye burning accompanied by itching and discharge, astigmatism, presbyopia, uveitis, squint, retinopathy of prematurity (ROP), retinal vascular occlusion, etc. Over the years of her medical practice, she has treated a large number of patients successfully.